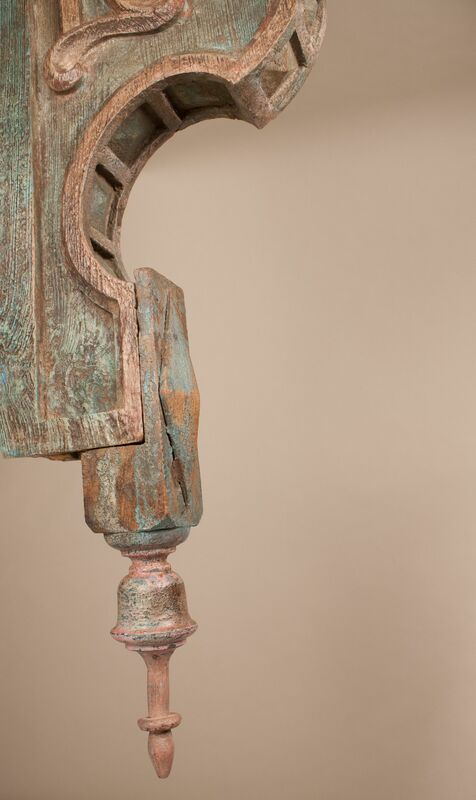 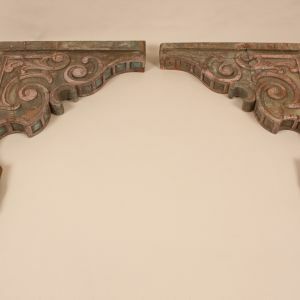 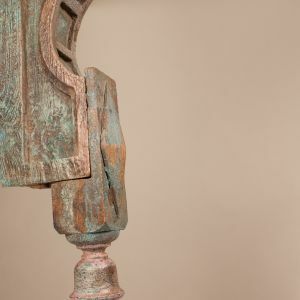 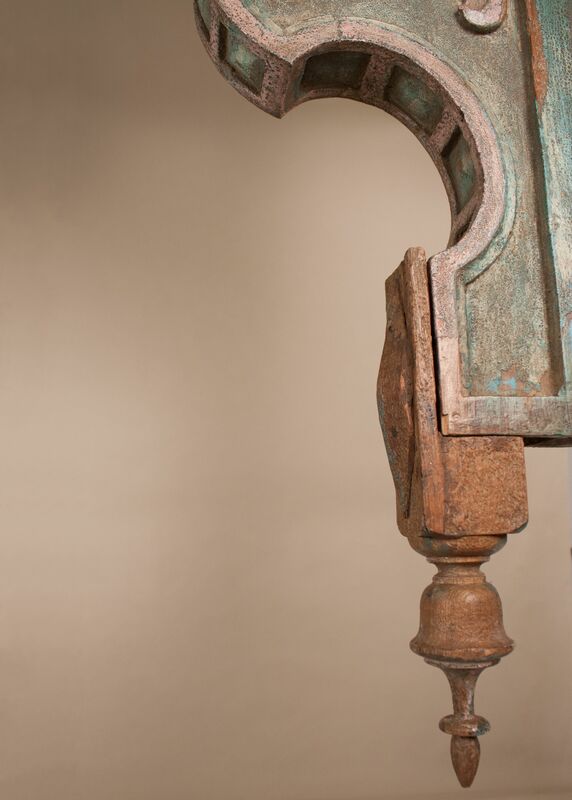 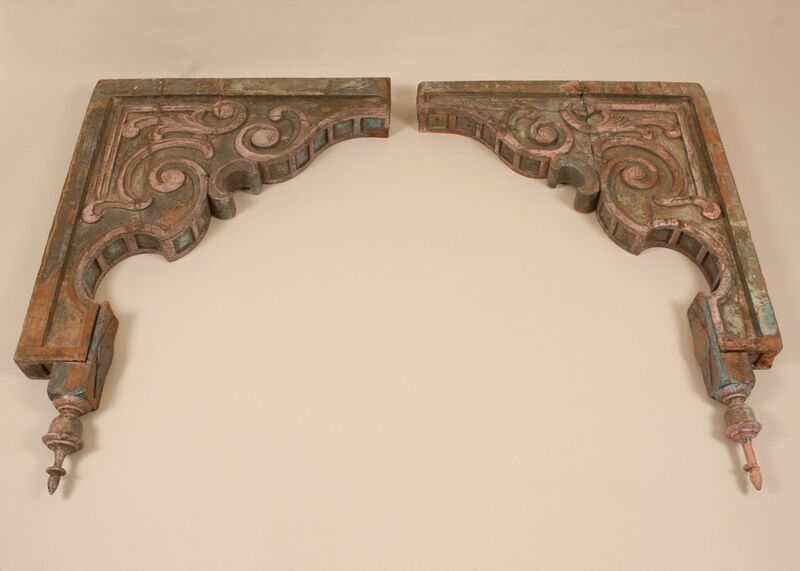 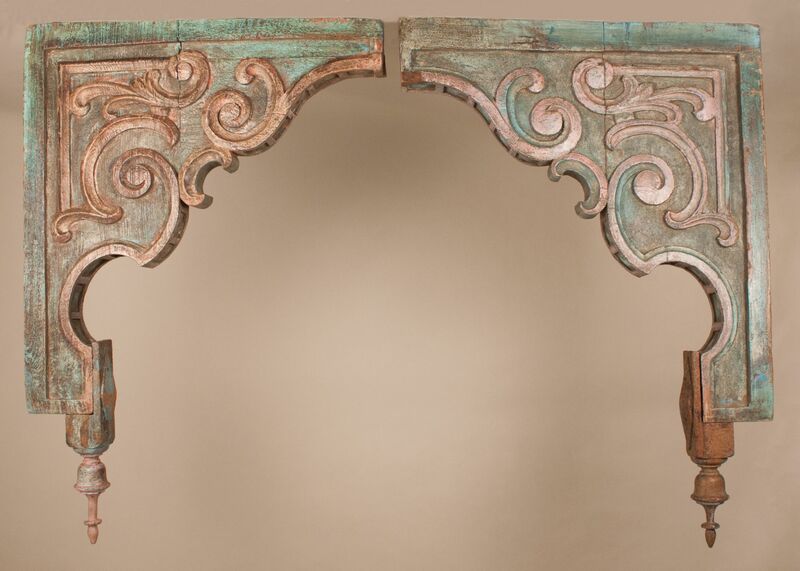 A pair of large antique teak wood corbels, circa 1930, with original paint from Gujarat, India. 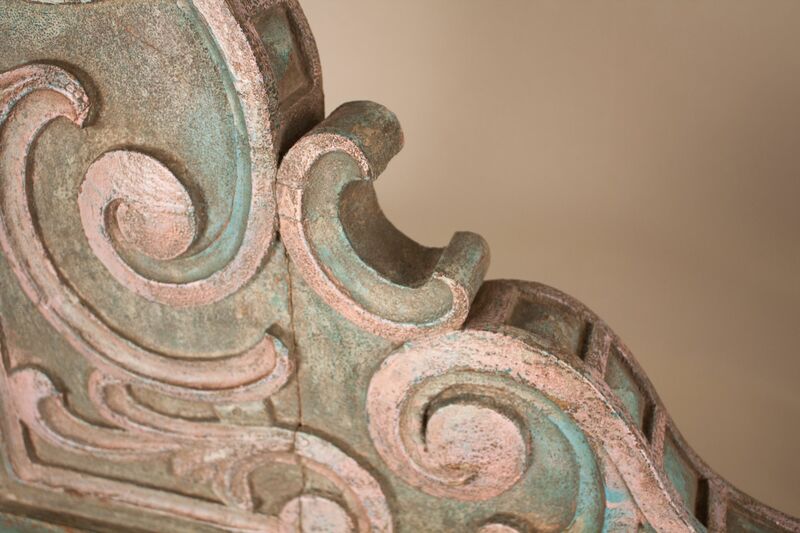 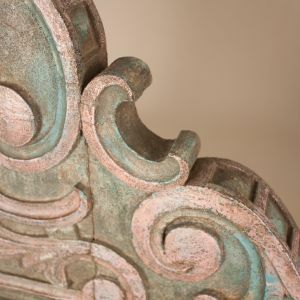 These architectural treasures feature colorful hand-carved details. 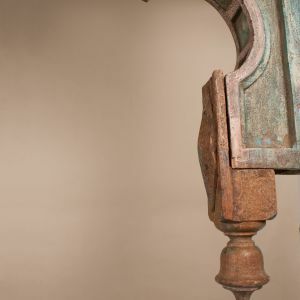 Note the subtle variations in carving and paint on each of the corbels and finials.